The Philippine Statistical Association, Inc. (PSAI) welcomes the appointment of Dr. Joselito C. Magadia as the new Editor-in-Chief of The Philippine Statistician (TPS) for 2018. Dr. Magadia, currently a Professor and the Director for Graduate Studies at the University of the Philippines School of Statistics (UPSS), will take the helm of the TPS, the official refereed scientific journal published twice a year by the PSAI. The TPS aims to disseminate a wide range of papers of technical, theoretical, and applied statistical nature which are considered of general or special interest to varied groups of statisticians. 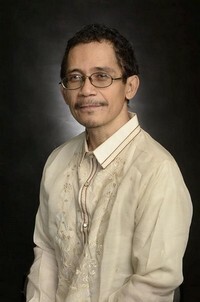 Dr. Magadia's mandate is to make publication at The Philippine Statistician more inclusive to its members and other researchers in the field of statistics. The Philippine Statistician welcomes contribution for its June 2018 issue, you may send your papers to tpseditor.psai@gmail.com.